When violinist Caroline Goulding, 17, appears with The Cleveland Orchestra on Thursday, July 1, at Public Square, listeners can expect fireworks. It’s the annual free Star-Spangled Spectacular concert, brought to this year’s listeners by Cuyahoga Arts & Culture, and as long as it doesn’t rain, the grand finale will include a colorful fireworks display. Not only that – the young soloist has planned razzle-dazzle selections designed to bring musical sparkle to the evening, too. Goulding, who just finished her freshman year at the Cleveland Institute of Music, is an assured and exciting soloist who will zip through the Zigeunerweisen (Gypsy Airs) by Sarasate and the Souvenir d’Amérique, Variations on “Yankee Doodle,” by Vieuxtemps. “They’re both virtuosic pieces written by virtuoso violinists,” Goulding says, noting that Vieuxtemps is said to have sketched out the “Yankee Doodle” variations on a napkin while touring America. The Belgian violinist/composer turned the composition into a popular encore piece. Goulding knows it well, having recorded it on her debut CD on the Telarc label, Caroline Goulding, which was nominated for a Grammy Award in the category of Best Instrumental Soloist Performance (Without Orchestra) earlier this year. 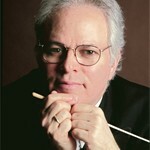 Completing Goulding’s contribution to the evening is the languid and lovely “Summertime,” excerpted from Gershwin’s Porgy and Bess and arranged for violin and orchestra. “To play with The Cleveland Orchestra is an honor,” says the former Cleveland Orchestra Youth Orchestra member, concertmaster, and concerto competition winner. Four years ago, at 13, Goulding performed with the Orchestra on an Education Concert program, playing a movement from Lalo’s Symphonie espagnole. Poised and articulate beyond her years, Goulding exudes the confidence of success. People have believed in her for her whole life. Born in Port Huron, Michigan, she began studying violin at age three and a half, when her two older brothers noticed her interest in their saxophone and trumpet practice. After initial studies with Julia Kurtyka, Goulding’s parents took her to the University of Michigan to study with Paul Kantor. When Kantor left Ann Arbor for a new job at the Cleveland Institute of Music, Goulding’s parents, both schoolteachers, moved to Cleveland so their daughter could continue studying with him. She was 11. The young violinist is currently going through several big transitions. Last year, during Goulding’s freshman year at CIM, she lived at home in Cleveland and her mother traveled with her to her concerts. But her mother has now joined Goulding’s father at their home in Florida, and next year Goulding will travel on her own for performances – including recitals in Boston, New York, and Washington, D.C. that resulted from winning a First Prize in the 2009 Young Concert Artists International Auditions. This summer, Goulding will study privately with Joel Smirnoff of CIM, with whom she started studying last year after more than eight years (and six summers at Aspen) with Paul Kantor. Goulding’s life centers around music, but she’s a teenager, too. She grins as she tells an interviewer about one of her goals this summer: to get her driver’s license on her 18th birthday, coming up in August. Before that, she will have performed with The Cleveland Orchestra and made her debut with the Houston Symphony. Even though those dates made it impossible to attend Aspen as a student this year, she hopes to go back to visit friends. Passion for what she does, and the patience to pursue steady growth – that’s this violinist’s secret to pursuing her dream. 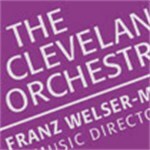 For details on the Star-Spangled Spectacular at Public Square, visit clevelandorchestra.com.